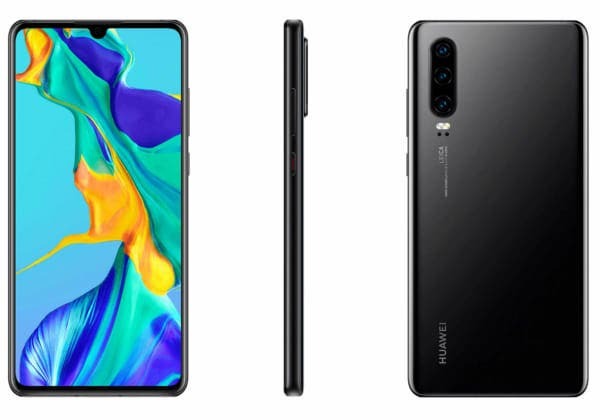 Huawei’s upcoming flagship smartphones P30 and P30 Pro has appeared in a new renderings that sound official, while from Android Enterprise come the technical specifications of the cheaper P30 Lite. There are only ten days left until March 26, the date on which the official launch of Huawei’s new P30 series, the Chinese giant’s response to Samsung’s new Galaxy S10, will be held in the city of Paris. Huawei P30 and P30 Pro will be called to confirm the qualitative leap achieved last year by the Chinese giant and to further raise the bar. 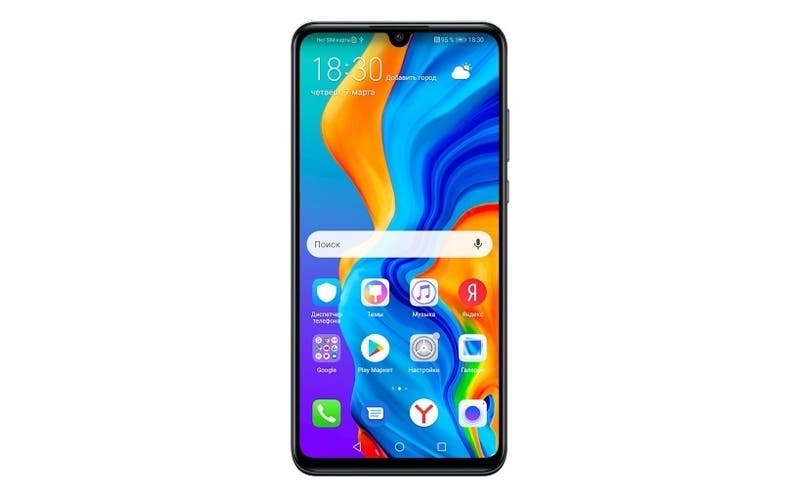 The colleagues of MySmartPrice have managed to get their hands on a couple of new renders that looks as very authentic, they have no watermark to obstruct the view and portray P30 and P30 Pro in black color. The new images do not distort what has already emerged previously regarding the two smartphones, for months now protagonists of innumerable rumors and teasers. 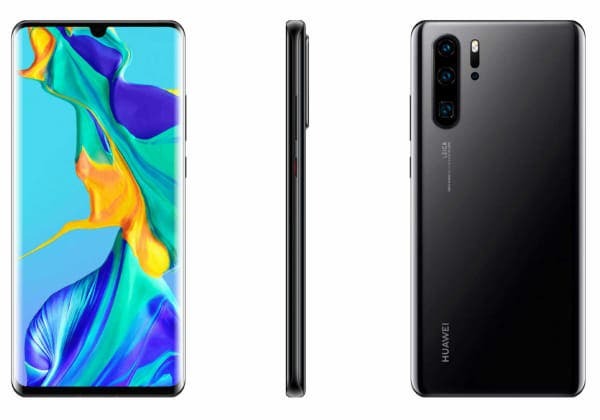 Huawei P30 and P30 Pro, as is now known, will not adopt the hole punch display chosen by Samsung for its latest flagship (and perhaps even Google), opting instead for the presence of a small water drop notch in the higher part and a design almost completely devoid of frames. Like what we have recently seen on the new Galaxy S10 / S10+ and Galaxy S10e and also on the Huawei Mate 20 and Mate 20 Pro, the displays of P30 and P30 Pro will have an element of differentiation in the edges: curved for the higher model and flat for the standard model. Another aesthetic difference between the two devices, apparently, will concern the colors available, the Pro model should arrive in Sunrise Red, Twilight and Aurora, the standard one instead will be available in Twilight, White and Blue. On the back of the two devices there is no classic fingerprint readers, Huawei will opt for sensors under the display. A couple of days ago the Chinese manufacturer announced the new Nova 4e in China, a smartphone whose design and technical features immediately made it think of a global launch, presumably next March 26 in Paris, under the name of P30 Lite. In any case, even before Paris event, the specifications of the new P30 Lite were kindly confirmed by the Google Android Enterprise program. The database confirms the presence of a 6.2-inch display with a drop notch design and speaks of 6 GB of RAM with 64GB/128GB of internal memory. Other features include the NFC chip and a fingerprint sensor on the back. As for the software, Android Enterprise confirms the presence of Android 9 Pie (obviously with EMUI 9) out of the box. P30 Lite will exist in three variants, identified as MAR-LX1M, MAR-LX2 and MAR-LX3A.